An night time image from semi rural Devon Meadows. The foreground is lit by the long exposure picking up light from a neighbour’s house. Stars are apparent in the night sky. This collection of images were captured during a couple of night time excursions by members of my ND400 Long Exposure group on Facebook. 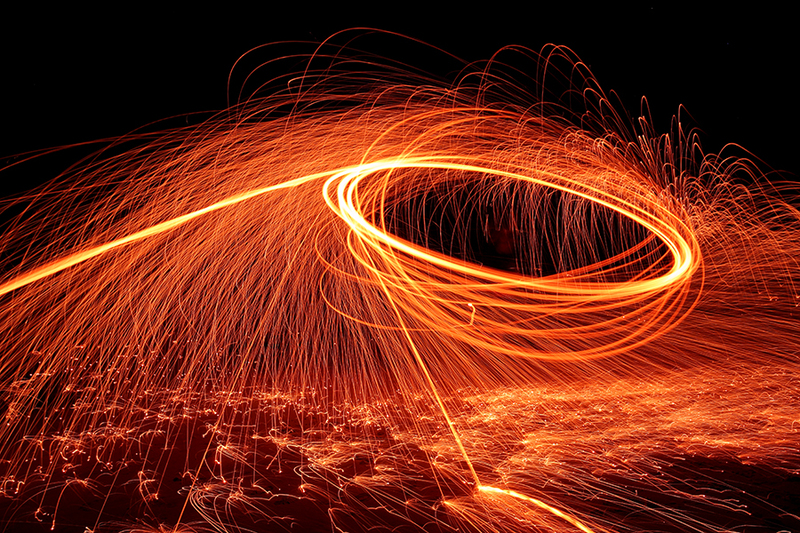 The patterns are created by igniting steel wool packed inside a metal kitchen whisk and then swinging the whisk in various ways to create the desired effects. I recommend that if your interested in giving this a try you should wear protective clothing to prevent igniting your hair or clothes. Also stay away from areas of dry grass or bushes. A beach is a good place for trying this kind of photography. Have fun!! Art of the Orb – the beauty of nature. One doesn’t usually associate the word “spider” with art. In my case I seem to be blessed by the presence of a very artsy Orb-weaver spider. Each evening during summer the spider constructs an elaborate web between the house and a large tree in the backyard. 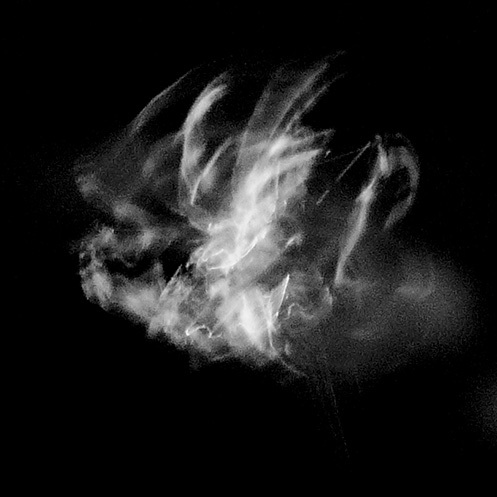 In an effort to capture the frantic web building activity I took my LX3 out into the backyard to see what I could catch. The Orb-weaver was lit from some distance away by one of the house security lights. 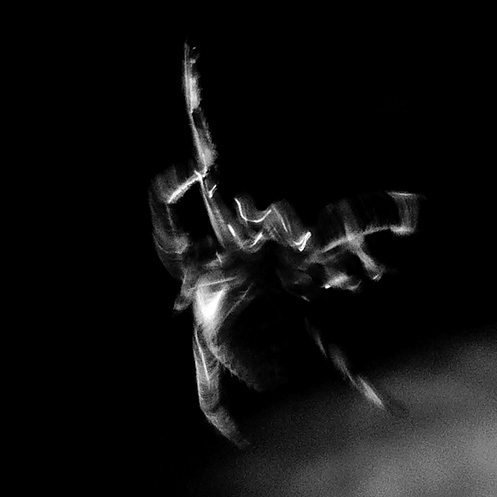 I set the LX3 to an aperture of f/2.0 @ISO800 due to the dim conditions and caught the following beautiful movements as the spider hurriedly moved around. For those who might be curious and want to try this I shot these images in aperture priority mode. 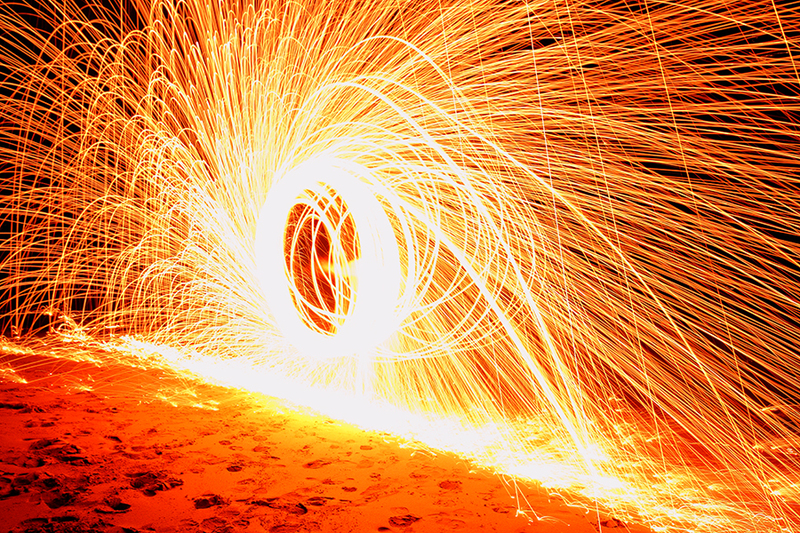 The camera selected a corresponding shutter speed of 1.3 seconds to suit my particular lighting conditions. The camera was also in “Dynamic B&W” mode. 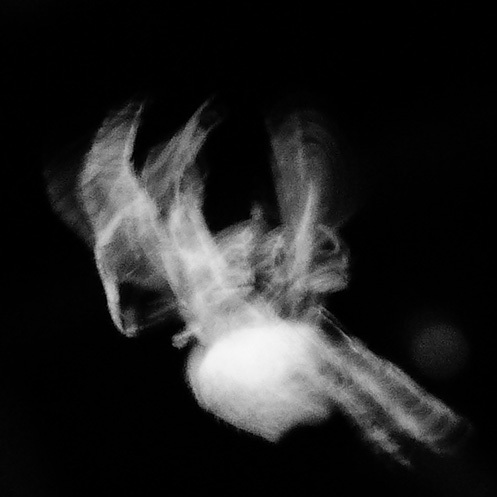 In the final two images there is a bit less movement by the spider and you can start to see the shape of the spider. 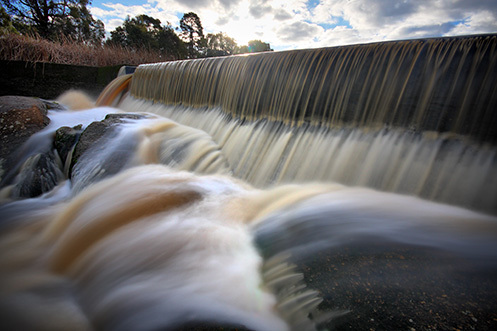 The Beauty of Polly McQuinn’s Weir, Strathbogie. 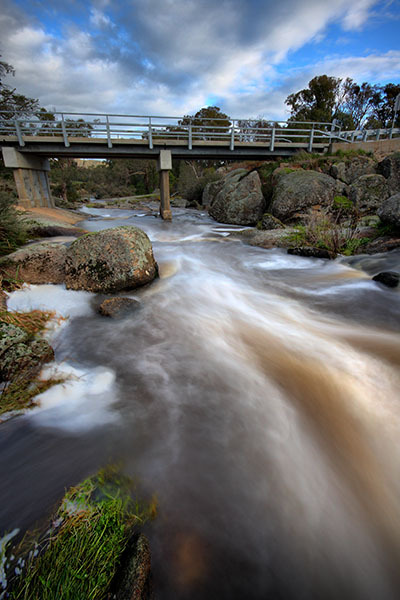 The picturesque Polly McQuinn’s Weir is well sign posted and located a few kilometers south-west of Strathbogie, Victoria, Australia. 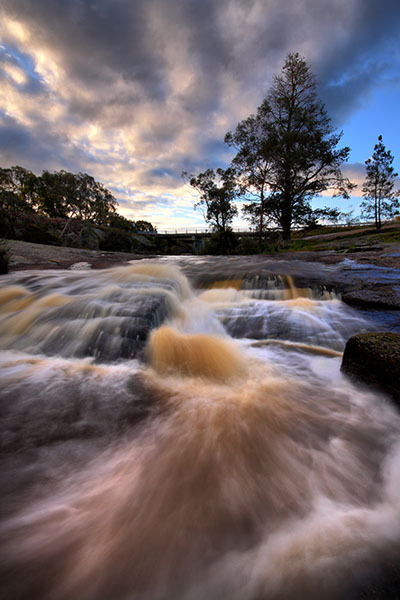 The weir features a spillway where water streams over a concrete wall and onto large exposed granite boulders. The water then continues snaking around more boulders before flowing under a road bridge then traversing a gently sloped granite plateau before reaching a deep pool surrounded by native vegetation. 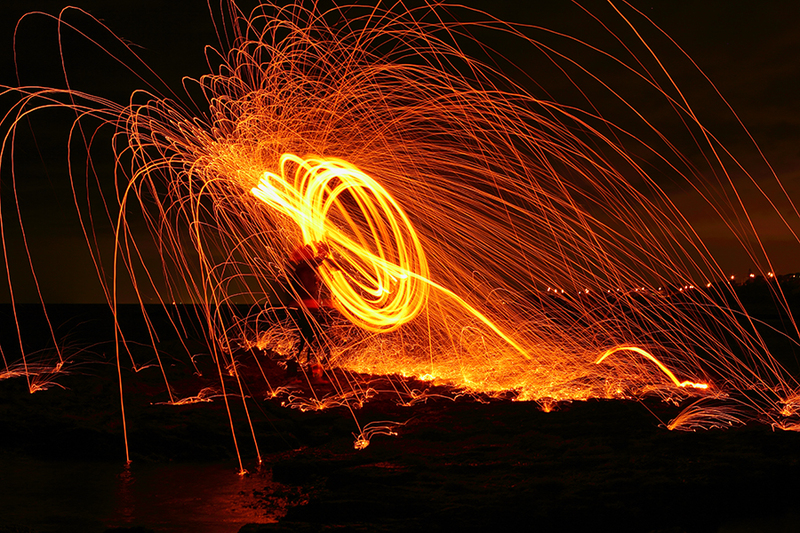 There are many opportunities here for the keen photographer. 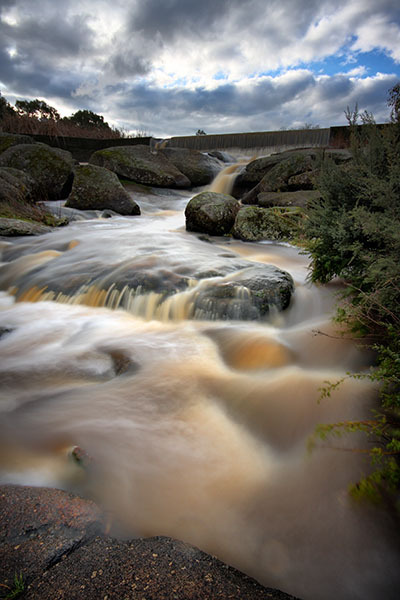 Below – A long exposure of water cascading over the spillway wall and onto granite boulders beneath. Below – Looking back towards the spillway wall, water flows rapidly over and around granite boulders on it’s way downstream. 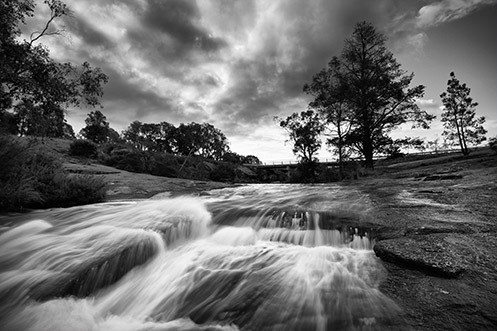 Below – In the days preceding my visit to the weir the area had received heavy rainfall. I suspect this caused lot of the brown silt present in the water. This caused an interesting effect in the water with the deeper sections of the flow taking on a brownish tinge and the shallow sections appearing bluish during long exposure shots. Below – The view from the bottom of the spillway looking downstream. The silted water runs rapidly under the road bridge. Below – “Polly’s Overflow” – Looking upstream from the pool, the water traverses a gentle granite plateau then strikes some foreground boulders whipping the water into a frenzy before it finally enters the tranquility of the pool. This image is available to buy as a print at my Zazzle and RedBubble sites. Apparently the weir was named after a young woman called Polly McQuinn who drowned here more than 100 years ago. 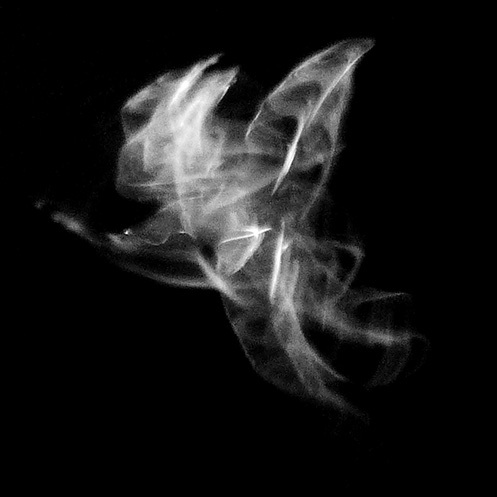 Legend has it that the ghost of Polly can sometimes be heard calling for help from passer by. Unfortunately I didn’t hear Polly on the day I was here. An Evening at Spray Point, Blairgowrie. 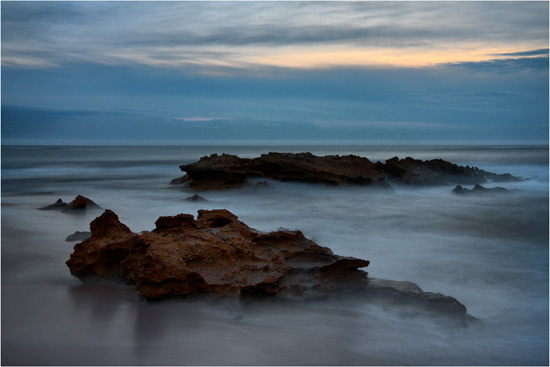 The following images were taken on an evening excursion to Spray Point / Montforts beach, Blairgowrie. 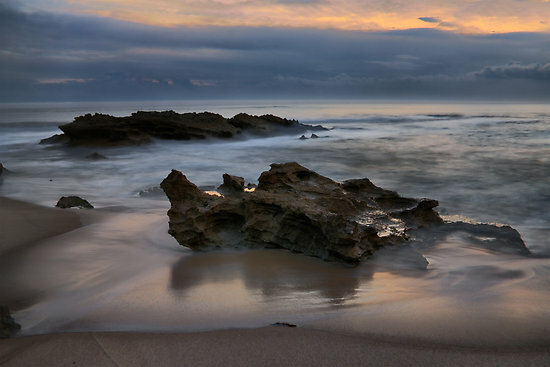 Tidal Trickle (below) was taken just prior to the sun dropping below the horizon giving some nice pinks in the sky. 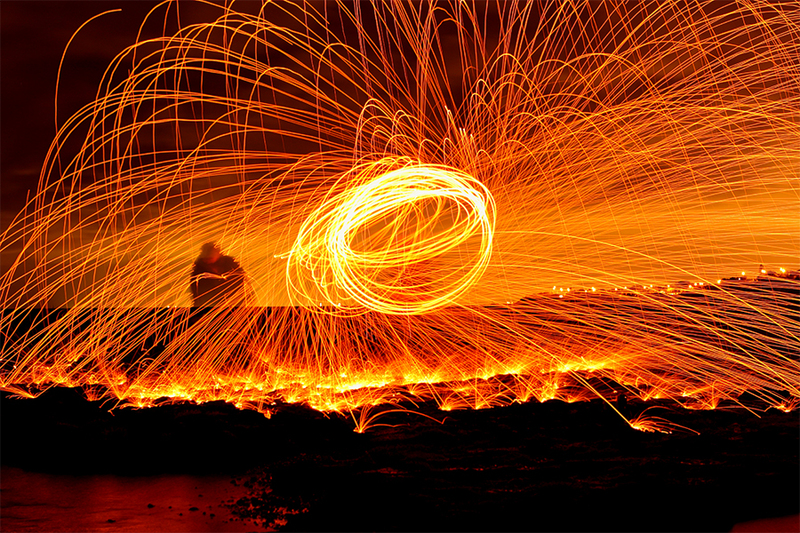 Friends and Fatalities (below) is a long exposure shot taken just after the sun had dropped below the horizon. 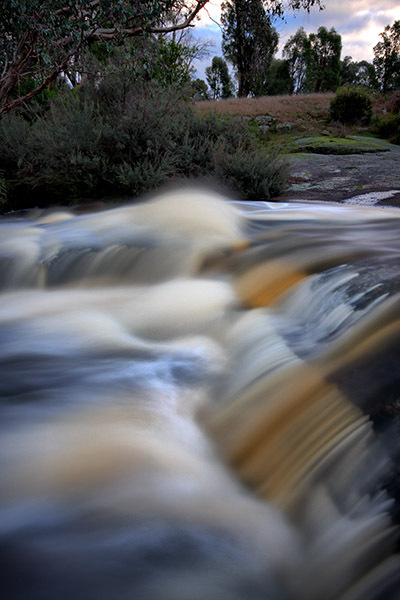 The extended exposure time makes the moving water take on a misty appearance and blurs the clouds whilst the foreground rocks remain in focus. The Unpredicted (below) is a long exposure shot showing water flowing off the rock plateaus after sunset. Despite the deceptively calm appearance of the image this is really a potentially treacherous area with unexpectedly large waves occasionally sweeping across the plateaus. A selection of images taken from two excursions to Sorrento beach. Return to Primal is a long exposure taken after sunset. 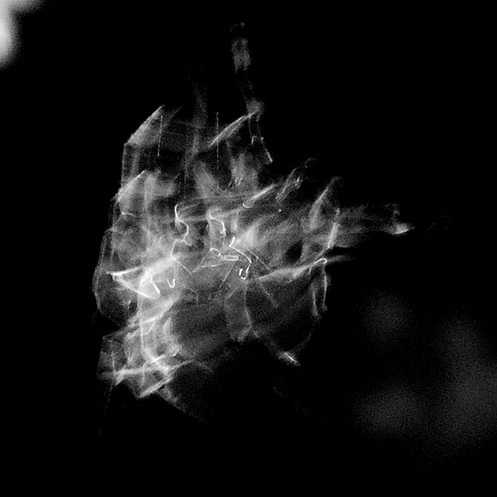 The true motion of the waves disguised by the slow shutter speed. High Tide Sphinx is a slow(ish) exposure taken at high tide as the sun was setting behind the Sphinx rock formation at Sorrento beach, Australia. Life in the Good Pond is a slow(ish) exposure taken at sunset. 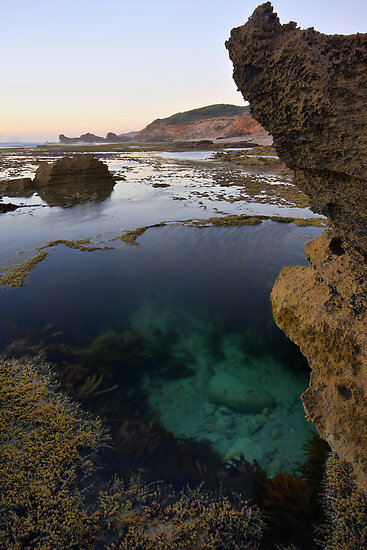 A polarizing filter was used to take the reflection off the surface of the rock pool allowing the scene below the surface to become visible. The blurring on the water was caused by the wind rippling the surface. I Peek Around the Corner is another image from Sorrento where a polarizing filter was used to remove the unwanted reflection of the sky from the surface of the water enabling us to see the wonder below. In the distance on the horizon the Sphinx rock formation is visible. 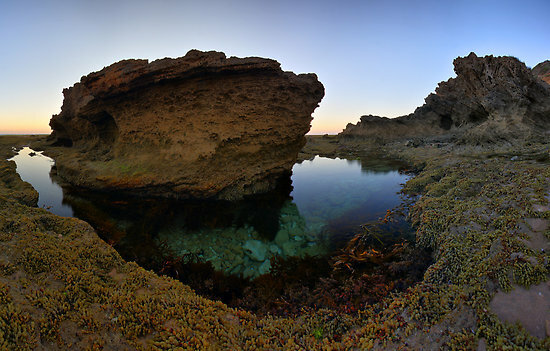 These images were taken while visiting the Sphinx rock formation at Sorrento beach. 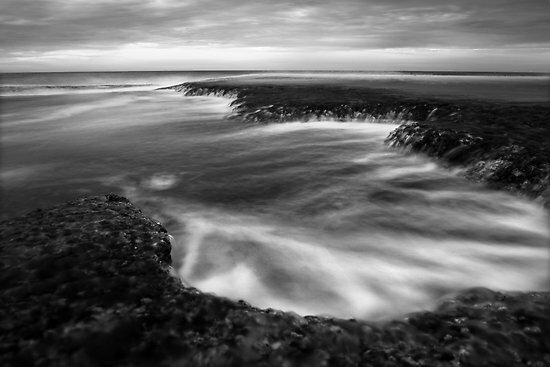 It was quite a windy day causing a lot of ripples on the surface of the rock pools so I used a long exposure (several seconds) to smooth them out and make the ripples disappear. An image taken just after the sun had dropped below the horizon. I had an ND8 and polarizing filter stacked on the front of the lens to to extend the shutter time and blur the waves giving a soft appearance to the water. 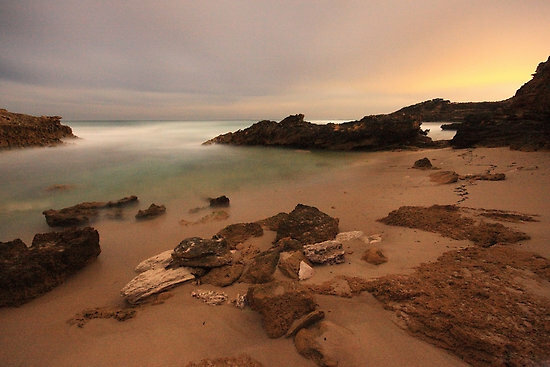 These images were taken on a recent dusk excursion to Koonya beach on the Mornington Peninsula in Victoria, Australia. 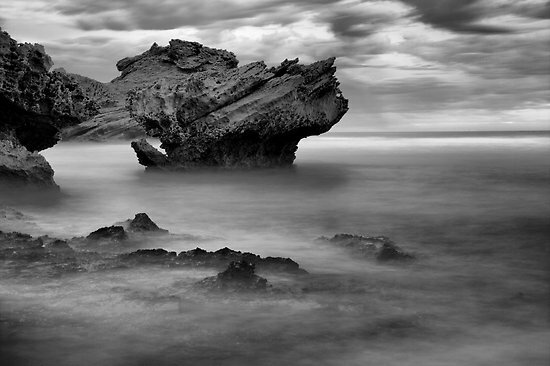 A series of long exposures taken at Sorrento and Blairgowrie beaches on the Mornington Peninsula, Australia. 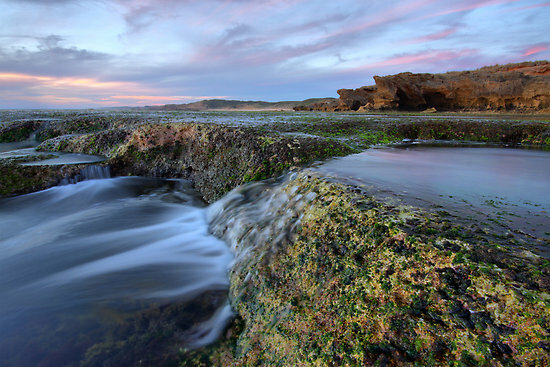 These images were taken using the Sigma 10-20mm and Canon 17-85 mm lenses with ND8 and polarizing filters stacked on the front in order to slow the shutter speed. Note – when stacking two filters on the 10-20mm lens the rim of the outermost filter becomes visible in the corners of the images necessitating a little cropping in post processing. 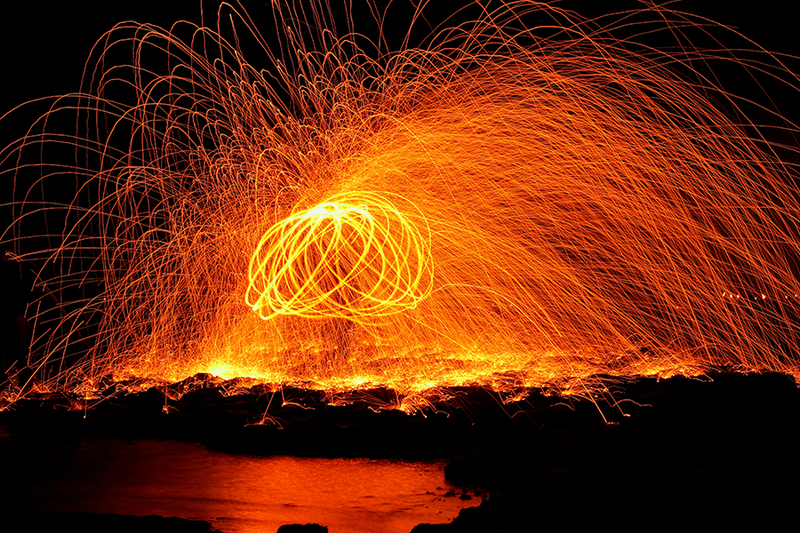 All of these images are available to purchase in various forms and sizes by clicking on their titles. 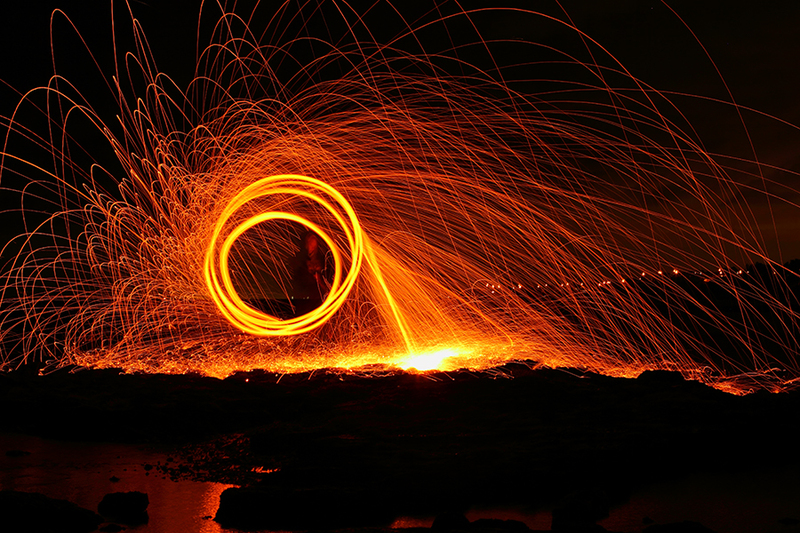 Blaze – taken at Sorrento beach. 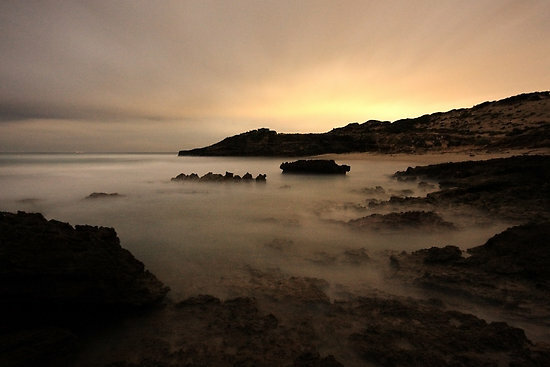 The Glow of Last Light – taken at Sorrento beach. 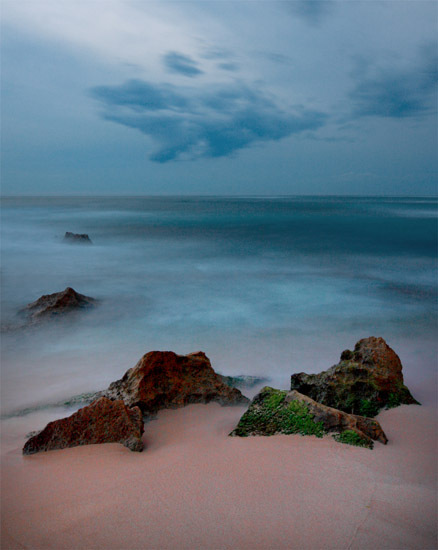 The Pastel Kiss of Night – taken at Blairgowrie beach. 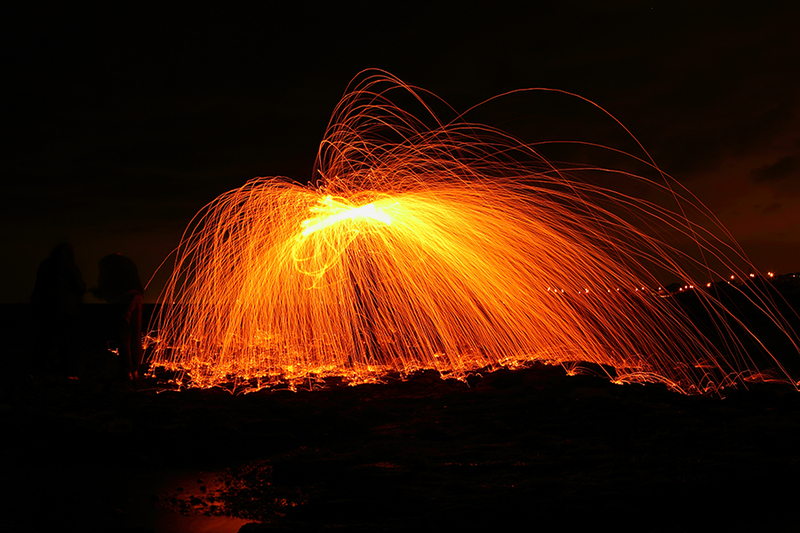 Welcome the Night – taken at Blairgowrie beach. 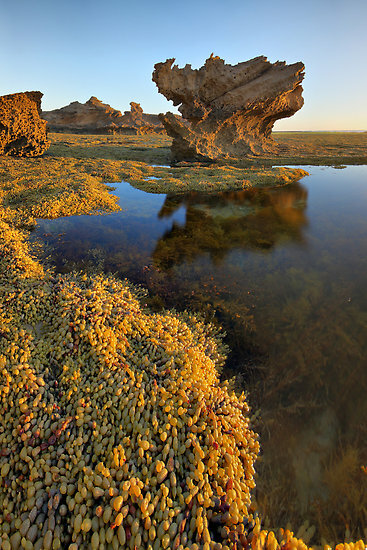 Koonya Isle – taken at Blairgowrie beach. 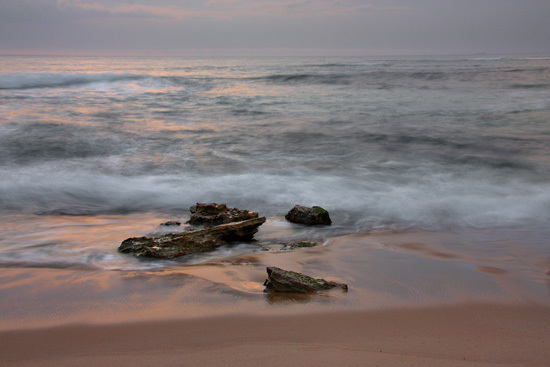 Through Angler’s Eyes – taken at Blairgowrie beach. Early morning in the forest of ferns. As the sun rises higher in the sky, beams of sunlight break through the forest canopy spotlighting details in the foliage. 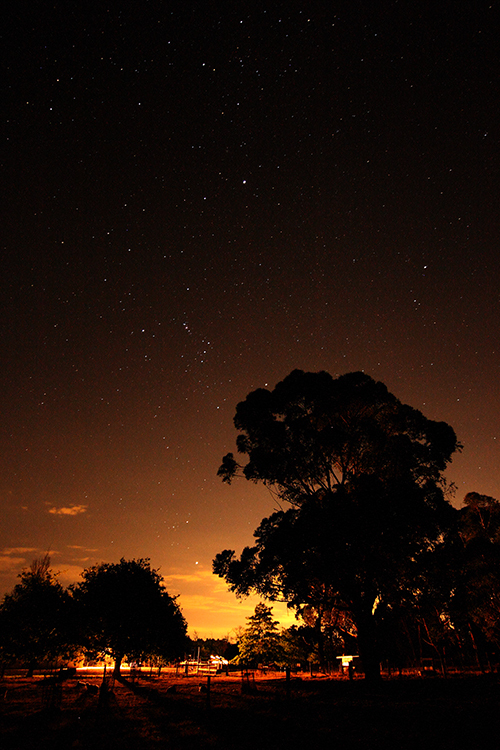 This image was taken from the banks of the Toorongo river, near Noojee, Australia. It’s a wonderful lush place to visit, it’s only real downside being the local leeches. 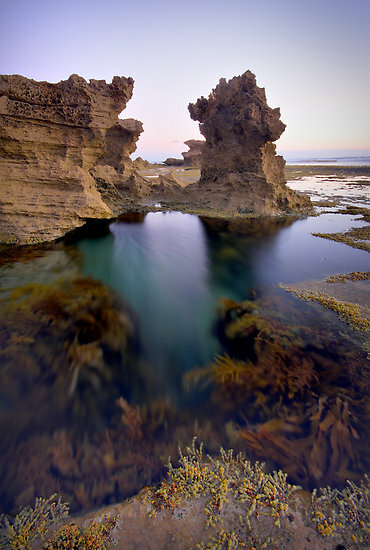 This image was taken at Sorrento beach shortly after the sun had dropped below the horizon. 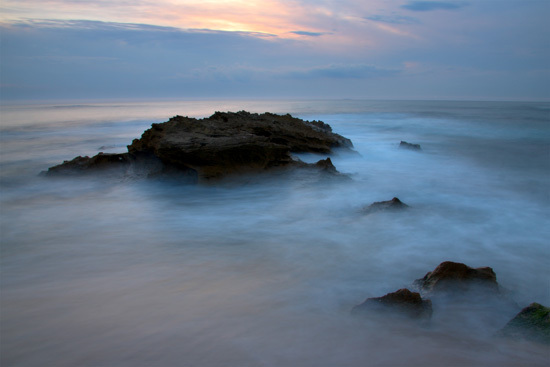 The long exposure (30 seconds) smooths out the motion of the waves and gives the ocean a smooth, almost cloud like appearance. The pink hue is a remnant of the sunset. A sunset taken at Blairgowrie beach, Australia. I never get sick of visiting this ocean coastline along the Mornington Peninsula. The rocky landscape remains as a constant, however the continually changing sky and tide never fail to create a new captivating scene. 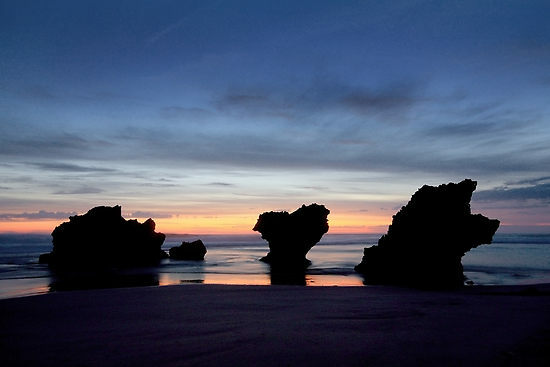 Generally the best time to visit this area are when the sunset corresponds with a low tide. This image is available to purchase as a quality print here. 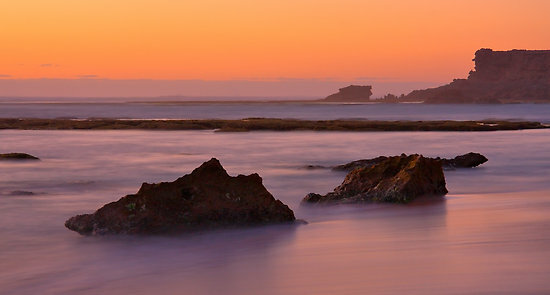 A sunset at Blairgowrie ocean beach, Australia. 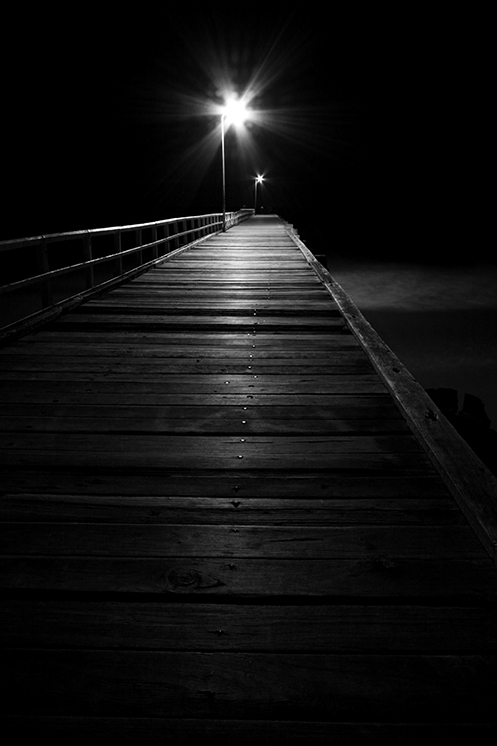 A nighttime river scape image taken at Port Douglas, Australia, using the Lumix LX3. 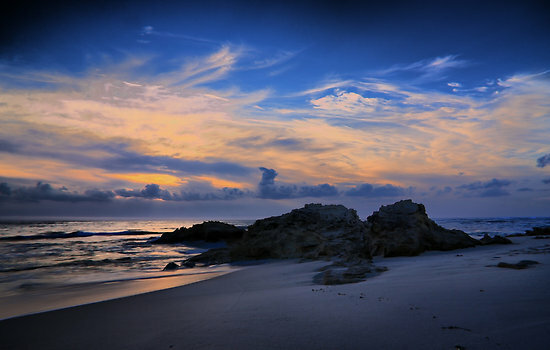 End of day at Sorrento beach, Australia. 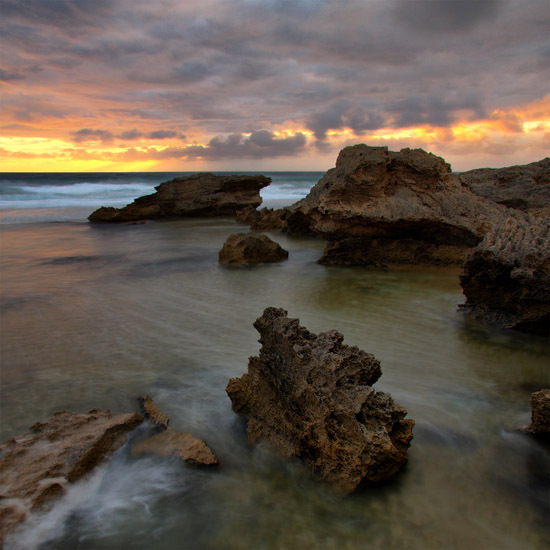 A sunset shot taken at Sorrento ocean beach, Australia. This is one of my favorite areas to photograph when the tourist season has finished. The Australiana Tree is at SkyHigh on top of Mt Dandenong in Victoria. The tree was apparently killed by a lightning strike several years ago then later sculpted by artist Leigh Conkie. The two close up images of the carved tree were shot at night using the Lumix LX3 hand held at 1/30 and 1/20th of a second both at f2.8, ISO400. The tree was side lit by a large yellow spotlight. The full moon pushes it’s way through clouds tainted by dust and smoke from Victoria’s bush fires. I finally got around to trying out the free Jalbum web album software. It’s an amazingly simple and fast way to create a nice looking photo album web site. You simply drag and drop your chosen photos into the program, choose a site style and colour scheme and “bang” it creates a website/web album for you. Beautiful in it’s simplicity and operation. Jalbum also gives you the opportunity to upload your creation to the Jalbum website where they will host it for free. To trial the software I created a Visions of 2008 web album which is a collection of images taken mainly during excursions. You can view the album here. 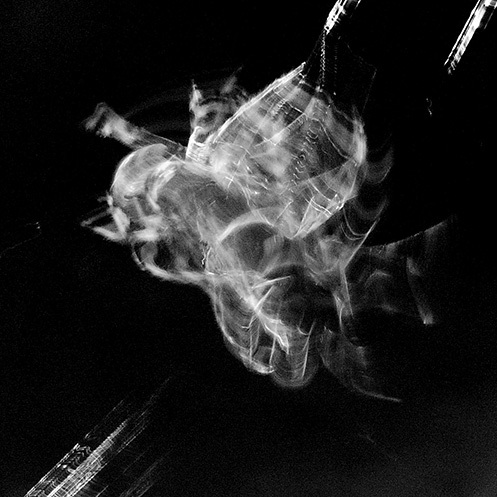 All of the images on the Visions of 2008 album are available to purchase as prints in various forms and sizes at my Redbubble site. 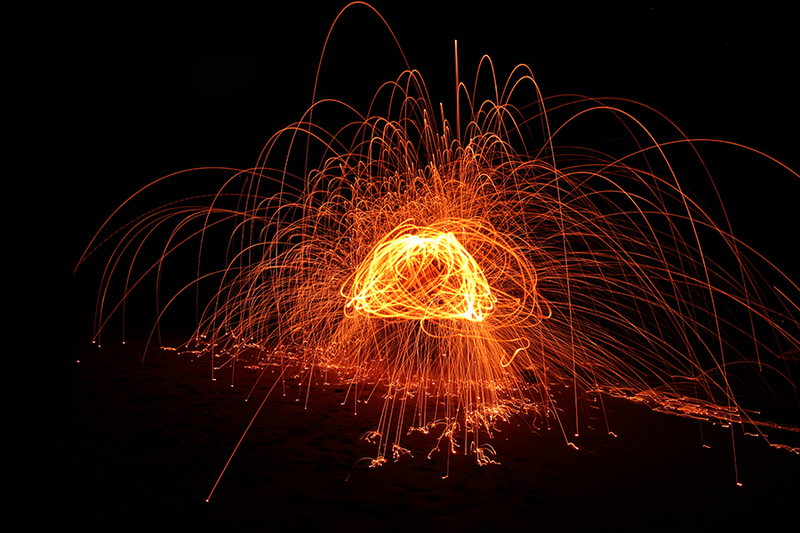 A six minute exposure taken at night, aperture f11, iso 100 on Blairgowrie beach. The long exposure reveals the apparent path of objects around the south celestial pole and also transforms the motion of the rough ocean waves into a soft mist. 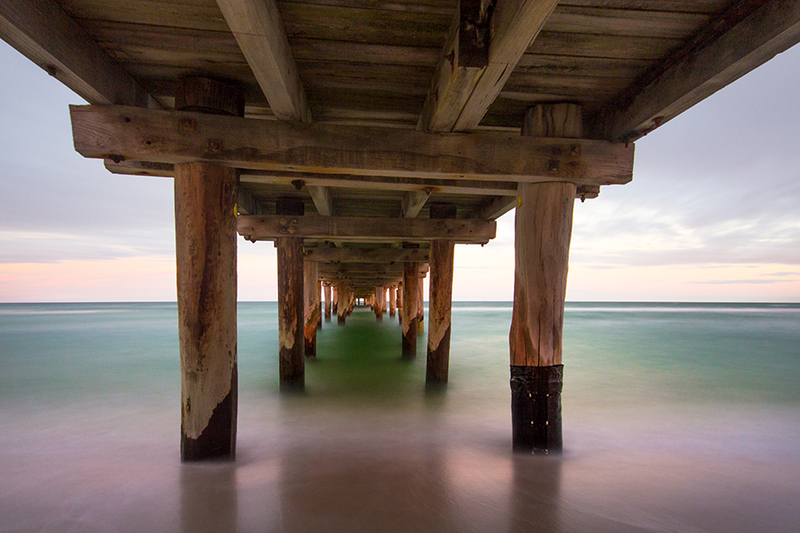 This shot was taken at one of the many wonderful beaches along the Mornington Peninsula, Australia. It’s a long exposure taken at night looking out at the ocean. 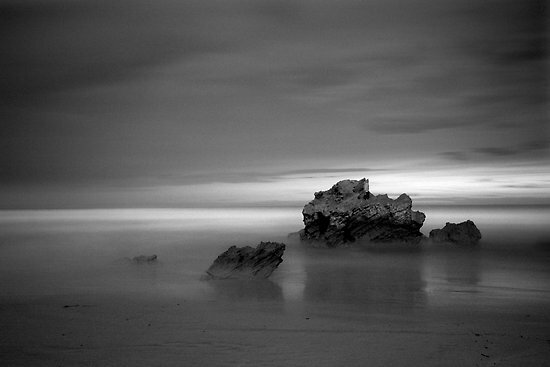 The long exposure smooths out the motion of the oceans rough surface giving it the appearance of a gentle mist. The rocks sticking out of the mist provide a nice contrast of texture. The reflection of the rocks in the foreground water provides some additional interest. The background light comes from the sun which long ago dropped below the horizon. When looking through the viewfinder this glow isn’t visible to the naked eye but the camera’s long exposure picks it up without much trouble. Night time on Blairgowrie beach. Primordial Dawn, ….and Third Planet. Some long exposures taken well before dawn. 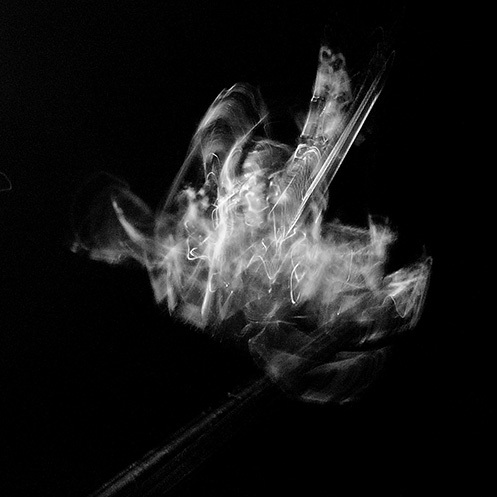 It was extremely dark looking through the viewfinder so some guesswork was involved with the composition of these. 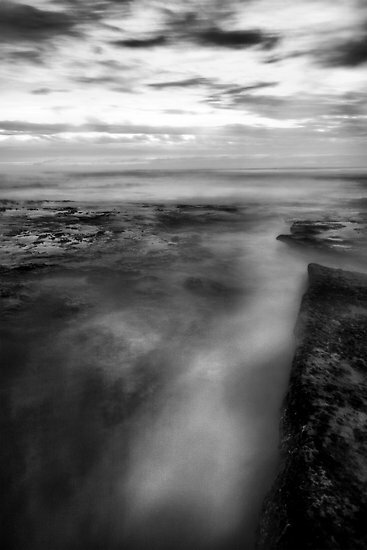 Note that the violent crashing waves of the ocean appear as a gentle mist due to the long exposure time. Unfortunately it wasn’t possible to capture the stars in the sky due to clouds rolling in just a few minutes before I arrived on location (bugger).